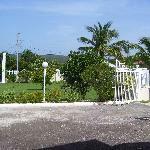 This is my first stay at the Southview hotel in St. Elizabeth Jamaica. I spent two weeks there and enjoyed it so much i extended my stay for another week. The owner picked me up at the Airport in Kingston himself. He made arrangements for me to have everything my heart desired while in transit to the hotel. The staff were pleasant and eager to please. 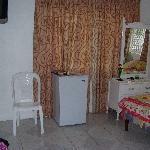 They provide excellent service.. I was even offered a chauffer if i needed one. The hotel grounds was really a well manicured orchard. I was constantly offered various local fruits straight from the trees; mangos,sour/sweet sop, cherries, june plums... the list goes on. Room tip: Request rooms are on the second floor. 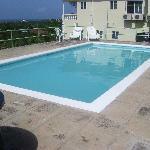 They provide a panoramic seaview, cool caribbean breeze and excellent for dining.